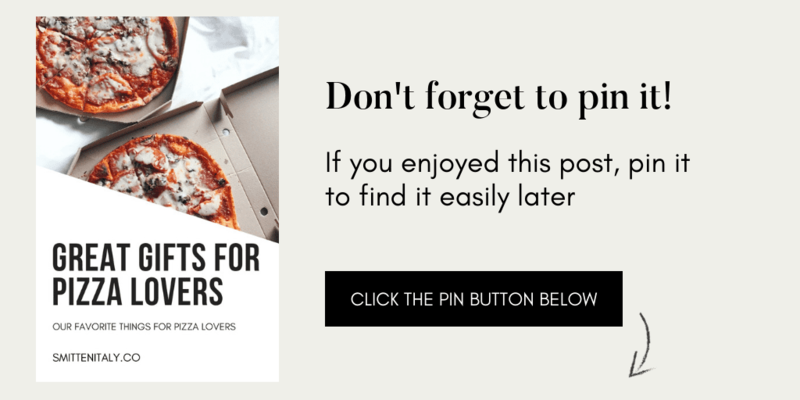 Pizza Lovers Gift Guide - Smitten Italy + Co. 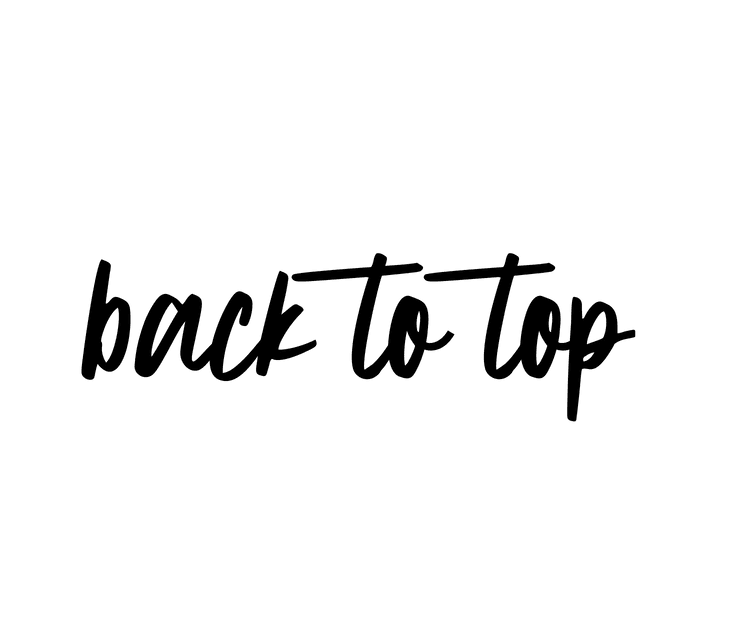 This post contains some affiliate links for things I LOVE. 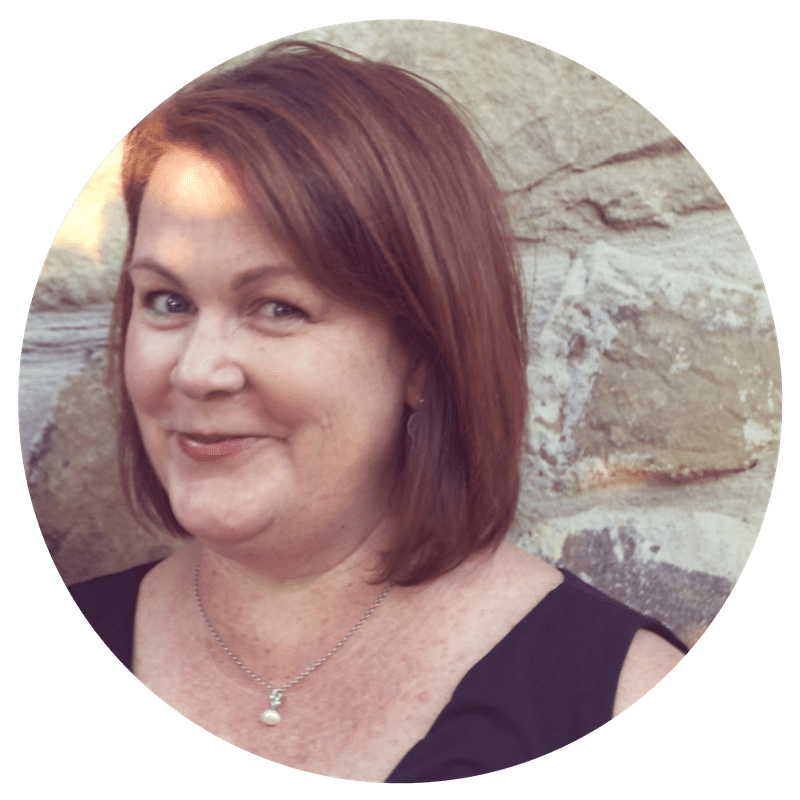 Please read my full disclosure here. 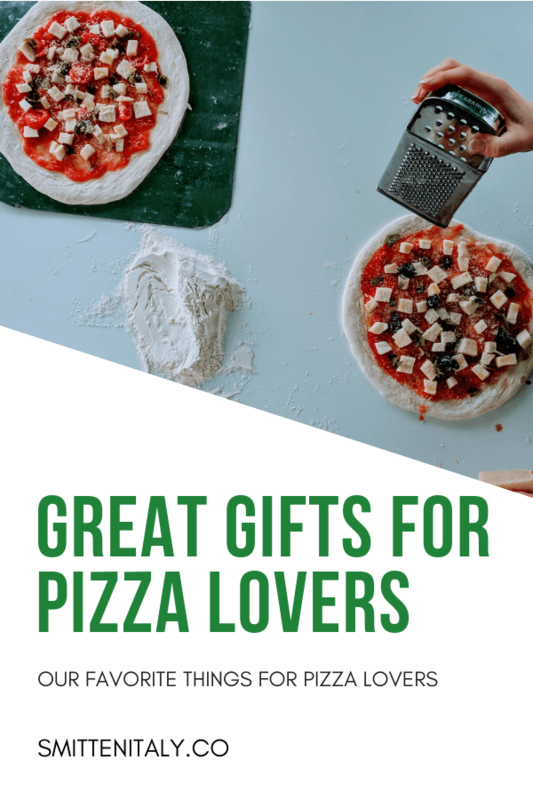 If you are *team pizza* like me, or if you have a pizza lover in your life, I think you’ll like this roundup of gift ideas for Pizza lovers! 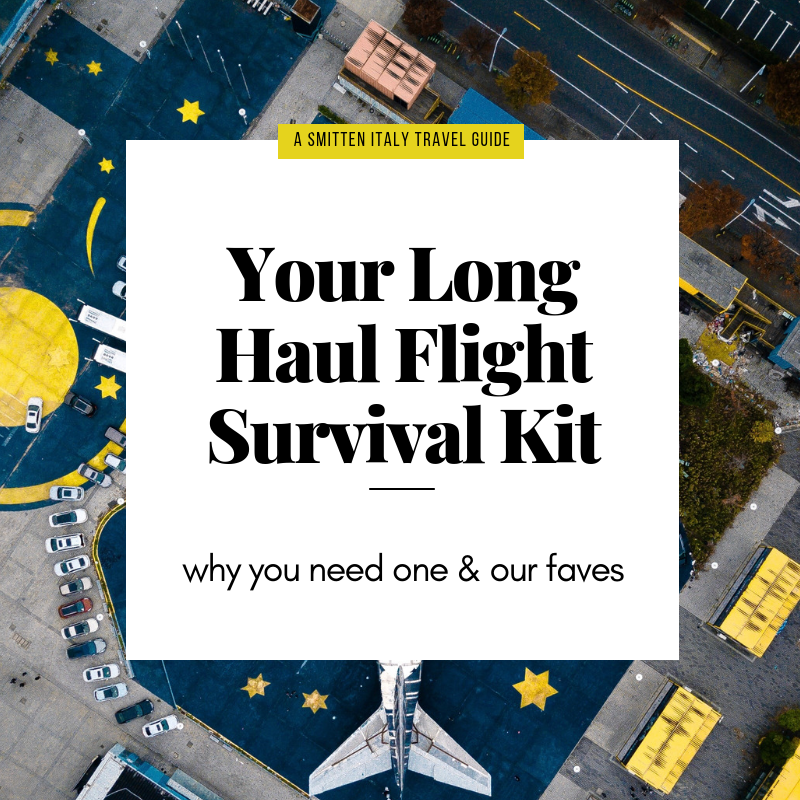 From stocking stuffers to all the best gear to throw an epic pizza party at home- I’ve got you covered. 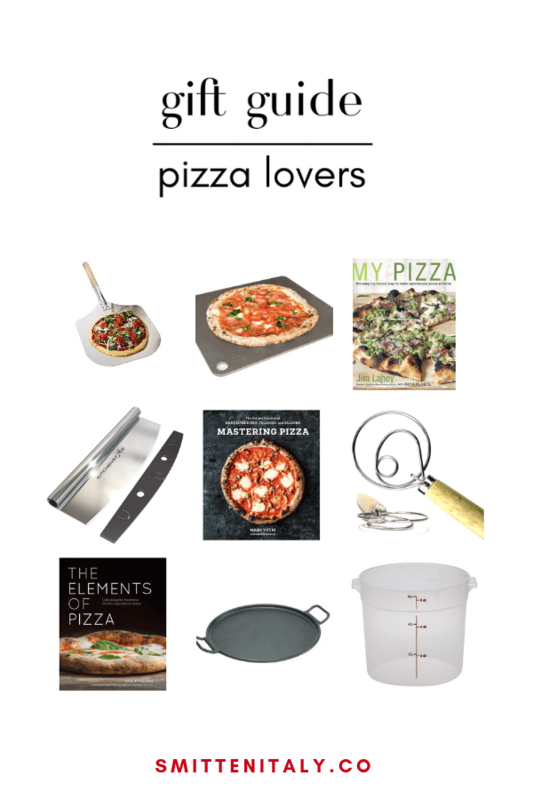 Dive into our ultimate gift guide for Pizza Lovers! In love with this True Love Pizza Pin from Sleepy Mountain. Possibly the perfect gift for your favorite Pizza Queen . (or yourself?) 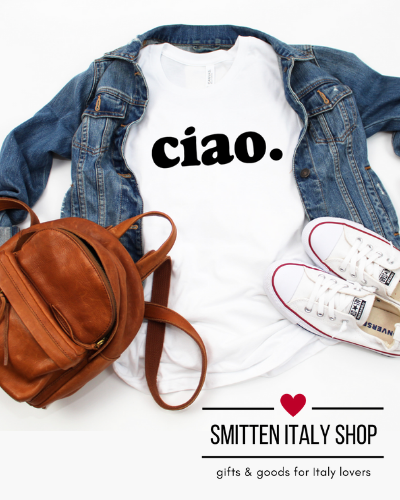 New over in the Smitten Italy Shop. Oscar is wearing this sporty dog bandana from Love, Matisse these days, and it looks so cute! I neeeed this doormat from Fox & Clover Boutique. Pins are IN! Loving this groovy Ultimate Pizza Club Combo pack from Stationery Bicycles. These would make such a cute gift idea for kids: Secret Pizza Party book & Felt Pizza Playset. Our new pizza money pouches from He Said, She Said are small and perfectly sized to hold your spare euro coins while traveling, or a set of earbuds and chapstick on your next adventure. How much pizza is too much pizza? Is this a trick question? Love this print from Chipper Things. 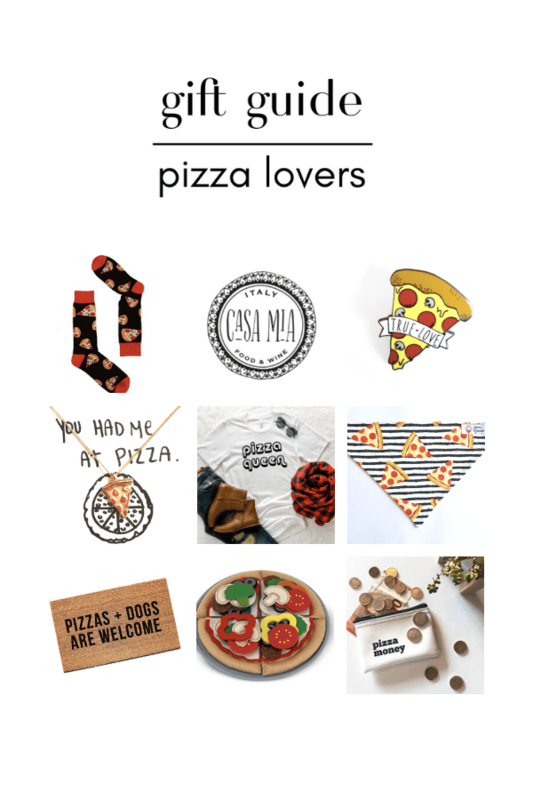 New $5 digital download in the shop >> Love Fades, Pizza is Forever. Super easy last minute gift, print, frame & wrap! This pizza peel will immediately up your pizza party game- the thin aluminum and long handle work great when moving pizzas on and off the grill or the oven. I’d love to get another one like this folding pizza peel so I have 1 to prep pizza on, and 1 to pull the hot pizza out. My Pizza by Jim Lahey & Rick Flaste was my first pizza book, and still my fave. This pizza cutter is on my Christmas list, I love a good square cut pizza and think this is just the tool. I would love to try this lodge pizza pan with handles on my grill. I love these simple glass bowls for organizing my toppings, a small ladle and a cheese grater are helpful for the sauce and cheese. For a fab Pizza Chef gift: make a gift bundle with the peel, a baking steel, my favorite Pizza book, the dough whisk & a pizza cutter. 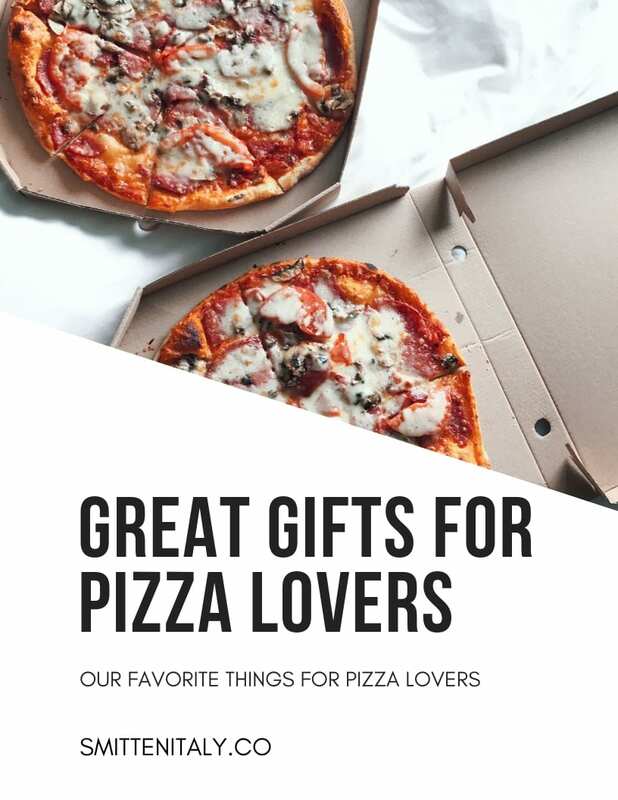 For the Ultimate Pizza lovers gift, buy your favorite foodie the gift of a delicious experience in Italy. Here are 2 of my favorites that would be an epic gift for yourself, or your pizza loving co-horts, just make sure they take you with them! 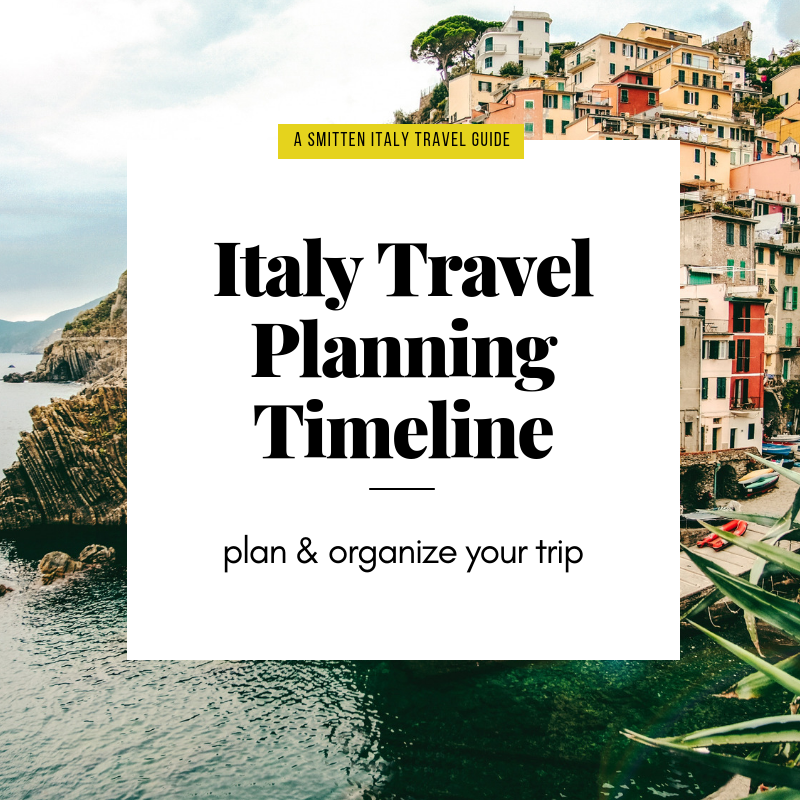 Book a Food & pizza making tour in Naples, Italy with Casa Mia Food & Wine. We did this last year as a family and it was so fun & delicious. 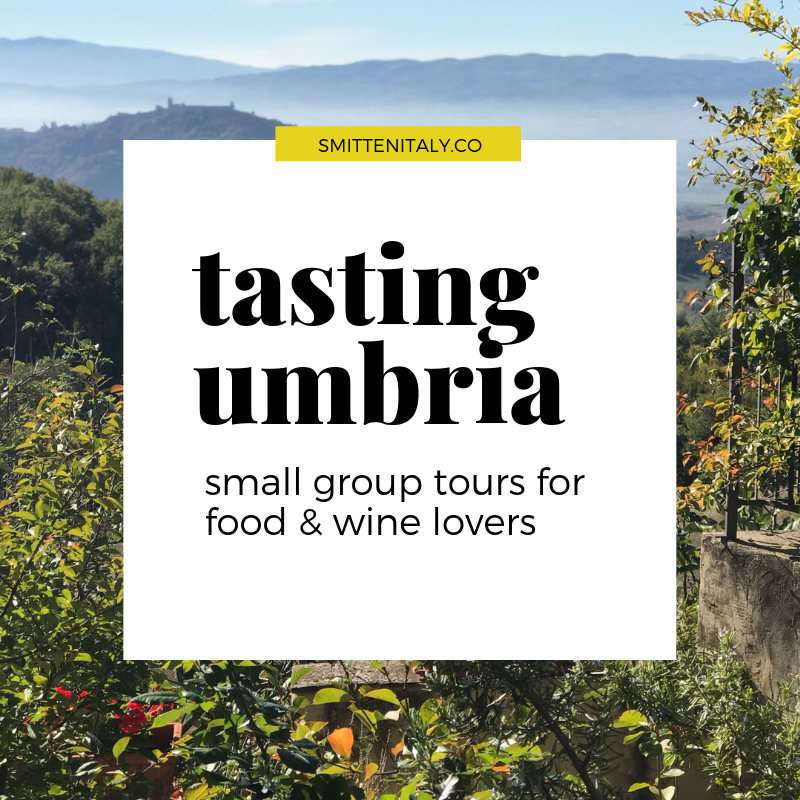 They also offer in depth walking food tours, wine tastings and more in Rome, Naples & Beyond. Contact Casa Mia for gift buying questions. 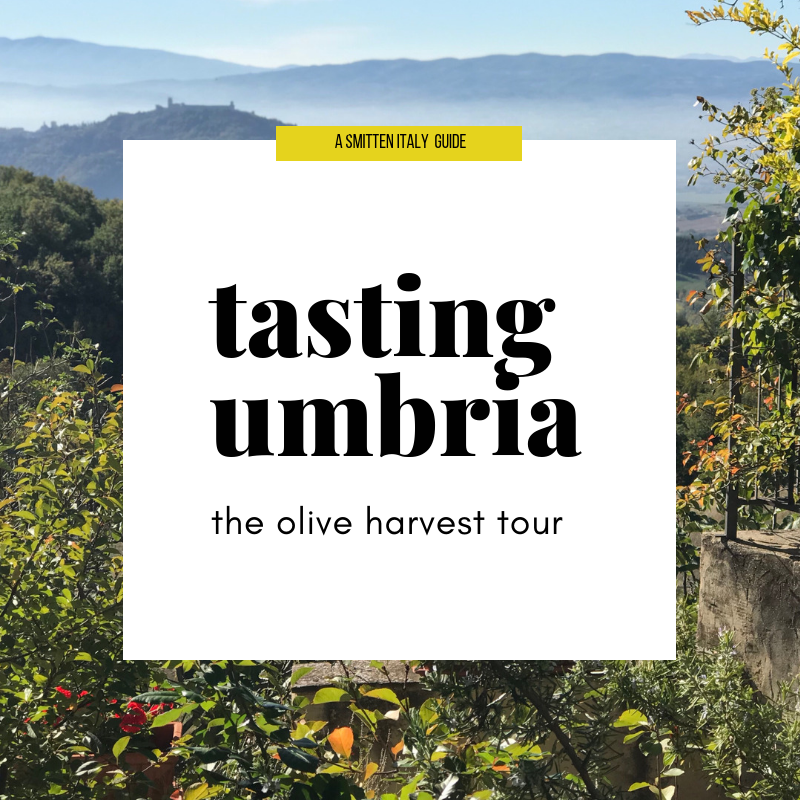 Book a summertime farmhouse stay & cooking classes at La tavola Marche with their famous weekly pizza party under the stars. Sounds dreamy, don’t you think? 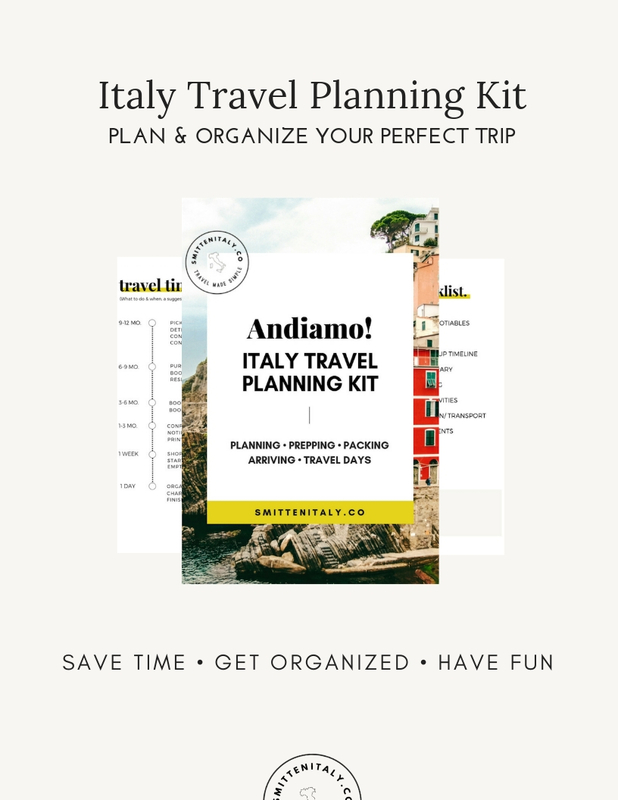 See all of our gift ideas for Italophiles over here.